The Brocklesby Conditions Stakes over 5f. The going at the time of writing is good to soft. Division II of this first two-year-old race of the season. The first division and second division have 11 juveniles entered from a first declaration stage of 28. Sadly, Mark Johnston's entry has been withdrawn. Considering he won this race in the last two years his colt would most likely have been favourite. On first impressions, this looks the stronger of the two division. A number of trainers had two or three horses earmarked for this race so it is a puzzle to work out who may be favoured. The betting is key for this race. Interesting to see Bill Turner fields one of three fillies to make their debut here. Hellovaqueen is a homebred daughter of Hellvelyn who shone many moons ago for Bryan Smart. This grey filly will not be two until 15th April. Turner has a fine strike rate in this contest over the years with six victories. Probably the best of those was seen in 2002 The Lord. 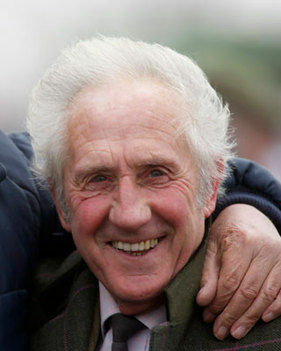 Turner has been quoted as saying that winning the Brocklesby has been increasingly difficult over recent years. His last winner came in 2013 Mick's Yer Man. By all accounts, Hellovaqueen has been showing up well on the gallops but one of a handful of juveniles in training at Sigwells, Somerset. In fact, Turner suggests when quoted by ATR that he wasn't sure if she would make the race. At present, she is declared to race so it would seem likely. Homebreds are often a little slower to come to hand, which may be a slight concern. With this handlers reputation, there is also a fear that she may be under priced. However, if past performances are anything to be judged it would be a brave man to say victory won't come the way of owner Mrs A F Horsington. Turner's grandson, Ryan While claims a handy 5lb allowance from a decent draw. On balance, I would take a watching brief simply because this last few runners have been slightly disappointing. Certainly, last year's runner, Crucial Moment, was poor. Interested in Clive Cox's Move To The Front. The stable can ready a debutante and a high draw is an advantage if getting to the rail. This son of Lord Shanakil is owned by Paul & Clare Rooney although a cheap yearling purchase at just £10,000. That price tag is a slight concern especially if there is an expensive horse or two in opposition. 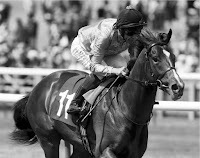 Richard Fahey's Requinto Dawn cost just 7,000E as a foal. Interesting to note that we have one horse with racecourse experience. Jurisprudance is a daughter of Panis, trained by George Baker. She was 11-1 on debut at Saint-Cloud, France when running on well after a slow start. That experience will be a big advantage although a wide draw in stall two. It could be worse if she was drawn on the extreme birth. Conclusion: Move To The Front wasn't an expensive purchase but if fancied in the betting could go well. Hellovaqueen hails from a stable who know how to win this race more than any trainer in the history of the Brocklesby. It is sad to hear that Turner's string of two-year-olds is weaker in numbers if not ability. The number of juveniles in any trainer's string correlates to potential stars. On balance, I would have to take a watching brief but always a fan of Turner I will be cheering his filly to win. Racecourse experience is a huge advantage at this time of year, especially so when all opponents are unraced. Many of these juveniles will be clueless. Jurispruance ran well in Saint-Cloud and will appreciate this extra half furlong. This filly would have gone close to winning on debut if not for a slow start and should go well. It is always wise in these first few weeks of the juvenile season to let the form settle. It is the major guide to finding a winning level of ability. Place efforts can sometimes be misleading and the reason why it pays to be very careful. Interesting race.